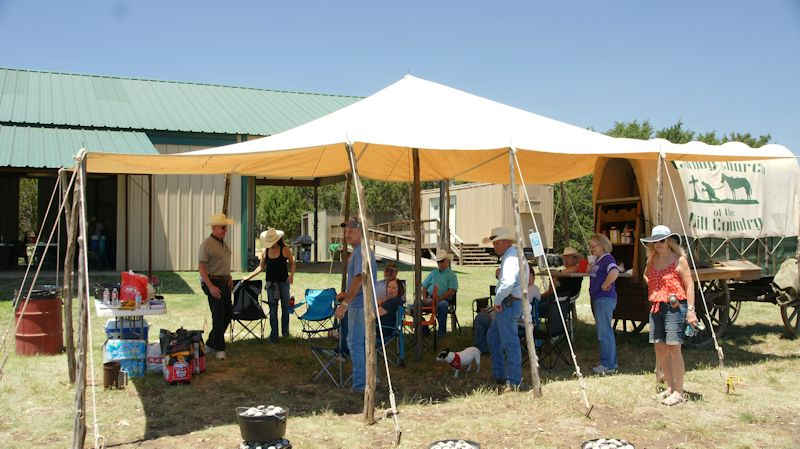 Welcome to the Cowboy Church of the Hill Country’s web site. 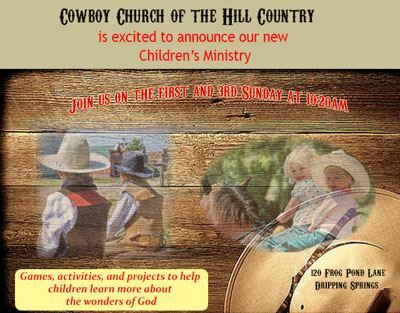 Whether you are a working cowboy, a cowboy at heart, or just enjoy a family friendly place to fellowship, worship, and serve the Lord, CCHC has something for you. We have a live band that brings the Word through music with a country sound and always have a pot of coffee going. Everyone is welcome to come and be a part of our service and you will find friendly, down-to-earth, non-judgmental folks. We hope to see you soon. We rely totally on contributions from the public to fund our ministry. In order to support our church we are now accepting cash contributions through our website using PayPal. To contribute to our mission, please click here.